Pulwama and its Aftermath: What is Different this Time? In the wake of the Pulwama terror attack, India and Pakistan are once again clashing on the Kashmiri border. The upcoming Indian elections and the absence of a US mediator will shape the outcome this time around. Nuclear-armed neighbours India and Pakistan are once again facing off after the suicide bomb attack in Pulwama, Kashmir, on 14 February. The Pakistan-based, Islamist terror-group Jaish-e-Mohammed (JeM), has claimed responsibility for the attack. India and Pakistan have fought four major wars (of which three were over Kashmir) and have been in five armed standoffs since partition in 1947. What is different this time? Two factors. First, the Indian general elections are due in April. The Indian Prime Minister Narendra Modi is seeking re-election and this will certainly influence India’s response to the conflict. Second, the United States is no longer playing a role in mediating as it previously did during the 2001 and 2008 standoffs. Historically, Kashmir has been at the heart of the Indo-Pakistan conflict. 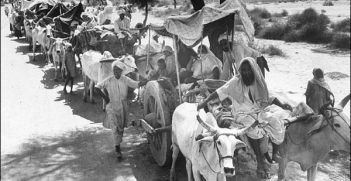 In 1947, the British withdrew from the subcontinent and, seeking to ameliorate tension between its Hindu and Muslim populations, agreed to a plan to divide it into the independent states of India and Pakistan. At the time of partition, the mountainous Kashmir kingdom between India and Pakistan had a majority Muslim population but was ruled by a Hindu Maharaja, Hari Singh. He was given the choice of joining India, joining Pakistan or remaining independent. Given the make-up of Kashmir, Pakistan expected that it would gain control of it. After the Muslim population in Kashmir who wished to join Pakistan faced violent oppression from Singh’s forces, Pashtun fighters, backed by the Pakistani army, crossed over into Kashmir to support them. This, in turn, led Singh to seek military support from India and to the signing of the instrument of accession of Jammu and Kashmir to the Dominion of India. In the intervening years, the two countries have engaged in war-like posturing and fought numerous skirmishes. These have twice erupted into full-scale wars in 1965 and 1999. The most recent skirmish was in 2016 when India announced it had conducted “surgical strikes” against military launch pads across the Line of Control (LoC) in Pakistani administered Kashmir. This was done in retaliation for a JeM attack against Indian Army headquarters in Uri near the LoC. In 2008, following the Mumbai terror attacks – dubbed as India’s 9/11 – Indian troops were deployed on the border stopping just short of a cold start (India’s offensive military doctrine which allows it to mobilise quickly to conduct limited retaliatory attacks against Pakistan without crossing its nuclear threshold). Since taking office in 2014, Prime Minister Modi has practiced a two-pronged strategy in the state of Kashmir. This has involved providing financial support for its development while simultaneously using force against separatists, which has exacerbated resentment against the central government in the state. As India gets ready for general elections in May, the Kashmir situation is one of the most worrying problems for a Modi government seeking re-election. From a failed alliance attempt with the People’s Democratic Party in the Jammu and Kashmir state elections to scrambling with political experiments, Prime Minister Modi’s Bhartiya Janata Party has had a muddled approach in Kashmir. Moreover, his two-pronged strategy has further alienated the Kashmiri people from the rest of the country. Since 2014, terrorist incidents have increased by 176% and the number of local Kashmiris joining militant groups has doubled. After Pulwama, Modi’s position will be under scrutiny not just from the Kashmiris, but also the larger Indian population as it goes to the polls. Former US President Bill Clinton once famously called this region the “most dangerous place on earth.” Now, there is a notable absence of US diplomacy in this volatile environment. In the past, the United States has played a crucial mediatory role; especially during the 2001-2002 military standoff and the 2008 troop deployment. Previously, the role of the United States had been twofold: in the absence of bilateral communication between India and Pakistan, it has served as the unofficial “hotline;” and encouraged confidence-building measures between India and Pakistan. On US mediation, it is not clear the United States is in a position to play the role of unbiased crisis manager that it has in the past. President Donald Trump has made accusations on Twitter that “Pakistan gives safe haven to the terrorists we hunt in Afghanistan” and in 2018 suspended all US foreign aid and security-related assistance. After the recent Pulwama attack, President Trump’s sympathy was solely for India and he indicated his support for the strong retaliation India desired. Last week, US National Security Adviser John Bolton told his Indian-counterpart, Ajit Doval, that the United States supports India’s right to self-defence. And both sides have vowed to work together to ensure Pakistan ceases to be a safe haven for JeM and other terror groups. Meanwhile, China is fast outpacing the United States as an arms supplier to Pakistan. 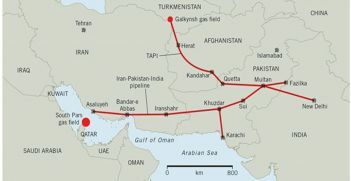 All this is amid uncertainty as to the precise role and influence of the Pakistan state to address and reverse the rise of transnational terror outfits in the region. So, what next for Kashmir and India-Pakistani relations after Pulwama? On 26 February, India retaliated by carrying out another surgical strike on terror camps inside Pakistan. 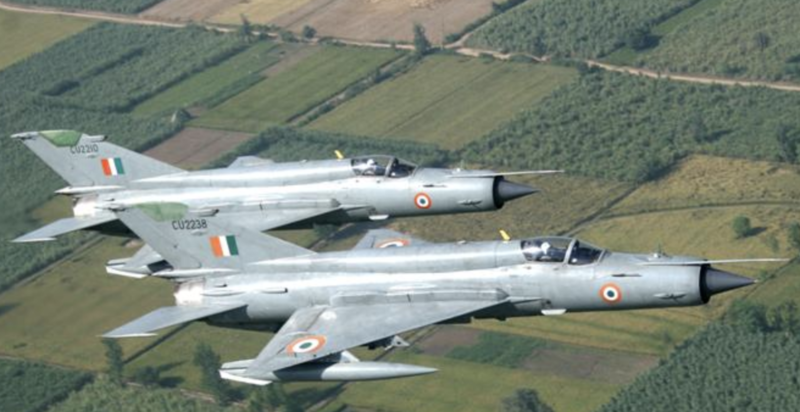 This was the first cross-border air strike that India has carried out in nearly five decades. Pakistan scrambled jets to retaliate but, according to reports, turned back due to the sheer size of the Indian formation. On the 27 February, Pakistan shot down two of India’s military aircraft and captured one of its fighter pilots, escalating hostilities further. However, on 1 March, Pakistani Prime Minister Imran Khan agreed to release the captured pilot in a peaceful gesture intended to ease hostilities. Prime Minister Modi’s aggressive stance stands in stark contrast to his predecessor Manmohan Singh, whose dovish gestures in 2008 were genuinely invested in peace. 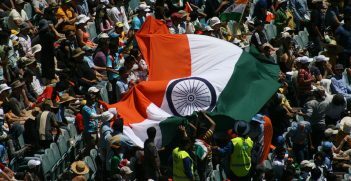 The public mood in India is decidedly nationalist and Modi will seek to capture that mood to carve out a big win in the national elections. It is possible that this skirmish will come to an end in the coming weeks, with each side feeling they have made their point. But the lesson that must be learned from this incident is the need for a third-party mediator. International diplomacy must turn to this region and focus on building a direct channel of communication between the two countries to ensure the region is not pushed to the brink of nuclear conflict. Teesta Prakash is a PhD candidate at the School of Government and International Relations at Griffith University where her research interests include Australian and Indian Foreign Policy. She has previously completed a masters degree in International Relations at the Australian National University in Canberra. At twice the size of New York's Statute of Liberty and almost five times the size of Rio's eponymous Christ the Redeemer, Vallabhbhai Patel's statue will cast a longer shadow than most former deputy prime ministers. So why is the world's largest statue being built in rural India?